The Lady Hardinge Medical College, a pioneer in the field of Medical Education has the unique distinction of being the only Medical College in India, for exclusively training women undergraduate students. The college was founded by Lady Hardinge of Penhurst, the wife of the then Viceroy of India, in order to overcome the orthodox trends prevailing the contemporary India, amongst the parents minds against educating their daughters in co-educational Colleges. She used her good offices to raise funds from the Princely States &amp; the Public. This Institution was meant to commemorate the visit of Her Majesty Queen Mary to India in 1911-12. It was decided to name it as Queen Mary College &amp; Hospital. The foundation stone was laid by Lady Hardinge on 17th March 1914. Unfortunately, this great &amp; zealous Lady who not only took the initiative but did a lot to bring about the existence of this Institution, died late in the same year. According to the wishes of Queen Mary, to perpetuate the memory of its founder, the college and the hospital were named after Lady Hardinge. The Institution was formally opened by Lord Hardinge in February 1916. 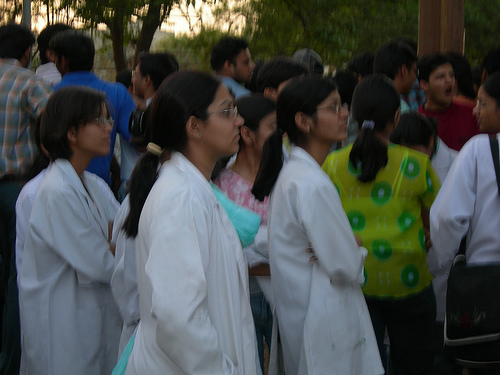 The college did a yeoman service in furthering of medical education for women in India. Today this has been proved by the fact that the doctors who have tread the paths of this college have achieved fame worldwide. They have risen to key positions and outshone in their respective fields, like Dr. Sushil Nayar, Dr. Usha Luthra of I.C M.R., Dr. Sumedha Khanna of W.H.O. Dr. Saroj Pachauri of Ford Foundation,. The College started under the able leadership of Dr. Kate Platt M.D, who was the first Principal of the College. At present the Director of the college is Dr. G.K. Sharma. Initially the college enrolled 14-16 students every year from all over India. The number of annual admissions was reviewed and raised from time to time, finally making it to the existing admission capacity of 150, in the year 2008. This is the only Medical College under University of Delhi that increased its admission capacity in the year 2008, for admitting OBC candidates as part of Phase-I of implementation of Central Educational Institutions (Reservation in Admission) Act 2006. By the time Phase-III of the programme of implementation of the aforesaid Act is completed in the year 2011, the admission capacity for the MBBS Course will be raised to 200 seats. For this increase, a Comprehensive Re-development of the Institution, envisaging increased Faculty, Staff, Bed-strength, New Buildings and other infrastructure is in the pipeline. In the initial stage of the college was an autonomous institution managed by a Governing Body. In the year 1953, the Board of Administration constituted by the Central Govt. took formal charge of the management of the institution. In February 1978, the management was taken over by the Ministry of Health and Family Welfare under an Act of Parliament. The College has coma long way, retaining its unique character, still marching ahead with the times and is upgrading itself dynamically in all its fields of activities. Since its inception, the institution has produced 6125 graduates and 2564 postgraduates in various medical and surgical specialities. The students and faculty have constantly strived for academic excellence, state-of-the-art health care provision, and high quality research competing with the best in the country. For the teaching and training of medical students, the college has two full fledge hospitals- Smt. Sucheta Kriplani Hospital, and Kalawati Saran Child Hospital with bed strength of 877 and 350 respectively. All the department of the hospitals are equipped with modern facilities to provide tertiary level health care services to the people of Delhi &amp; adjoining areas. Since 1991 the hospital has been providing care to the male patients also. The Faculty of Medical Sciences has been established under the provision of statute 9 (Nine) of the Statute of the University of Delhi and the Faculty has such powers and to perform such duties as may be assigned by Statutes and the Ordinances and shall, from time to time, appoint such and so many committees of courses and studies in different branches of knowledge as may be prescribed by the Ordinances. The Faculty shall also consider and make such recommendations to the Academic Council on any question pertaining to respective spheres of work as may appear necessary or on any matter referred to by the Academic Council. Prof. Jolly Rohtagi, Deptt. of Ophthalmology, UCMS, is the present Dean of Faculty of Medical Sciences. The Deanship of a Faculty will rotate amongst the Departments of that faculty. For that purpose a list of such Departments, in the order reckoned from the date of their establishment, the oldest Department being put first and so on, shall be prepared. Where two or more departments have been established on the same date, their relative place in the list will be determined by draw of lots. Any person who is the Head of that Department whose turn comes according to the list, shall be the Dean for a period of three years provided that if that person ceases to be the Head before completing the said term, his successor in the Department shall be the Dean for the remainder of the term and provided further that in a case where the turn of such a department comes where the Dean is to act as the Head, that Department will be bypassed by the one immediately next to it in the list. Notwithstanding anything contained in Clause (1), where there is a Professor in a Faculty, a Reader shall not be appointed as its Dean, In such a situation, if there is a Professor, in that Department whose turn comes according to the list, he shall be the Dean; if there is no such Professor, that Department will be bypassed to be followed by next in the list and so on till such time it is ensured that a Professor alone becomes the Dean. When there is no Professor or Reader in a Faculty who can be appointed as its Dean, then the Vice-Chancellor, or the Pro-Vice-Chancellor if so designated by the Vice Chancellor, shall act as the Dean of that Faculty. The Dean of each Faculty shall be the executive officer of the Faculty, and shall preside at its meetings. The Dean shall issue the lecture lists of the University in the Departments comprised in the Faculty, and shall be responsible for the conduct of the teaching therein. The Dean shall have the right to be present and to speak at any meeting of any committee of the Faculty, but not to vote thereat unless he is a member of the Committee. 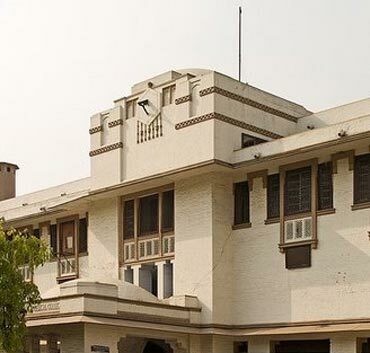 The Maulana Azad Medical College is situated in the capital city of Delhi. 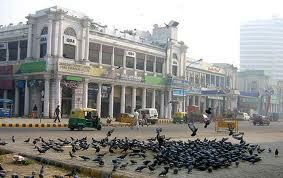 It straddles the historic old city of Delhi on one side and the more modern Lutyen's Delhi on the other. The sprawling campus includes the college and three of its major associated hospitals namely Lok Nayak Hospital and GB Pant Hospital and the Guru Nanak Eye Centre. This institution is named after the great patriot and educationist, Maulana Abdul Kalam Azad and has been in existence since 1959. Contribution towards national health care delivery system by providing efficient and expert medical services through the associated hospitals. Establishing routine and specialized laboratories of excellence and other investigative facilities. Pursuance of objectives of medical education by improving the course contents, continuing education and strengthening of research activities. Extending medical support to the local authorities for health care programmes. Extending health care facilities to above 30,000 rural population of Delhi through its organized centers in the community. The Head of the Department of the University shall be the Chairman. 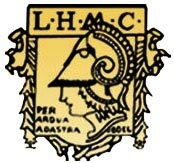 The College Head of the department concerned shall be one of the members (namely M.A.M.C./L.H.M.C./U.C.M.S./and V.P.C.I.). One Professor from each institution by rotation (the rotation shall be on seniority wise). One Reader/Associate Professor from each institution by rotation (the rotation shall be seniority wise). Note: The duration of Committee of Courses and Studies shall be for two years. The notice of the meeting shall be issued to each member at least three days before the date of meeting. The quorum shall consist of three members.